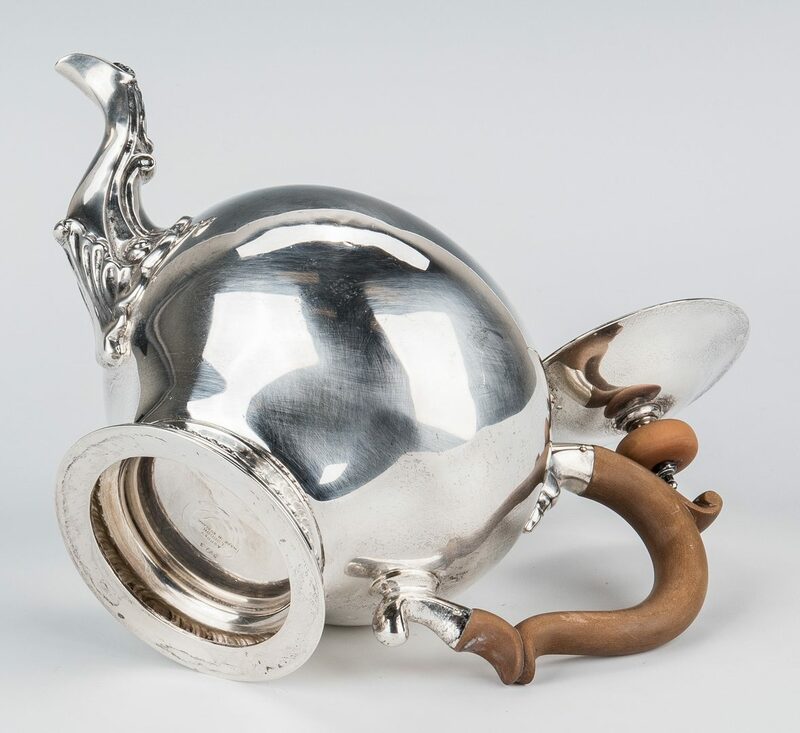 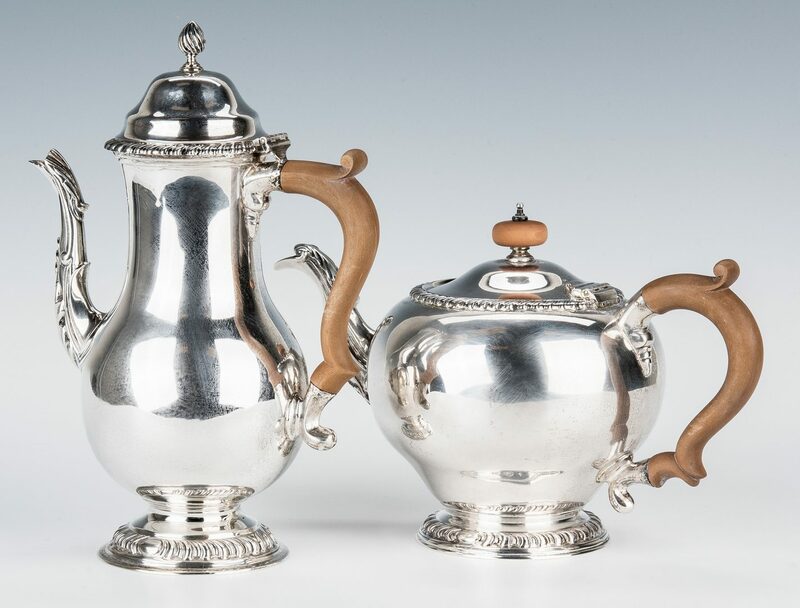 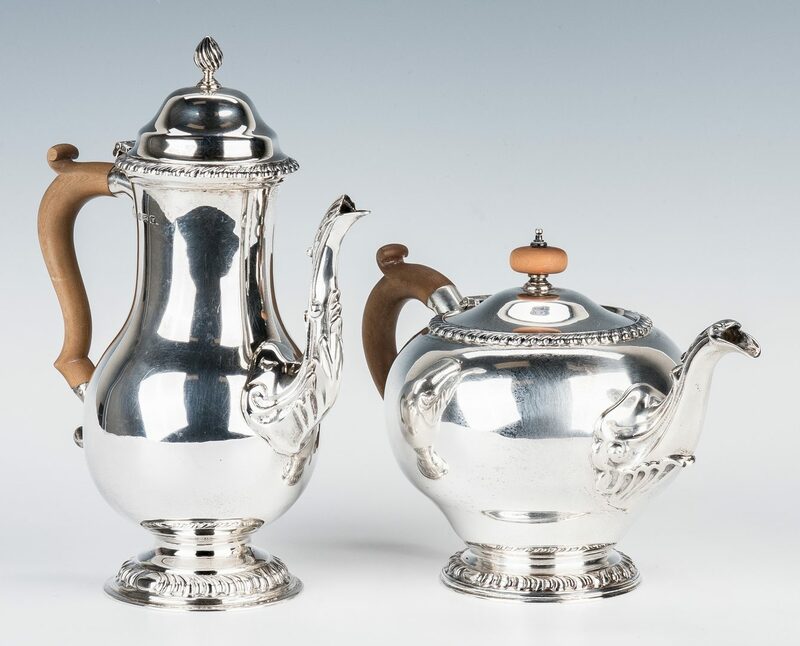 5 piece service including Asprey & Co. Ltd. 4 piece sterling silver tea and coffee service including double-bellied tea pot, cream pitcher, covered sugar and two-handled waste bowl. 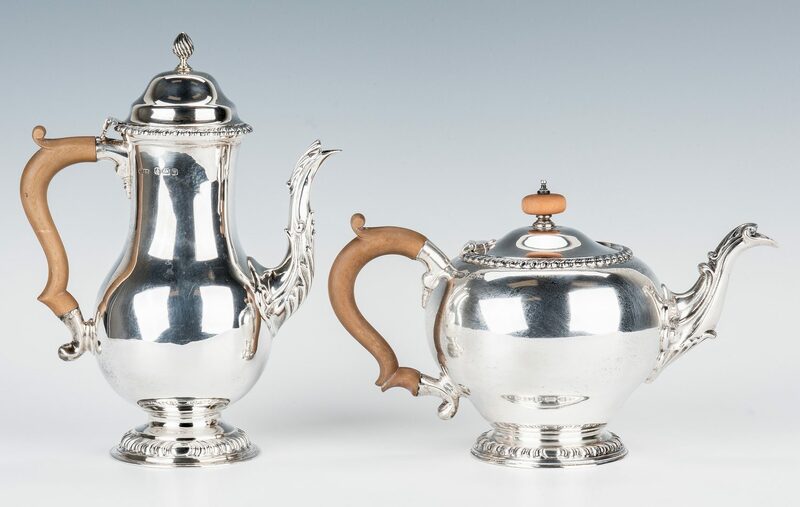 Coffee pot and sugar bowl cover with flame finials and domed lids, tea pot with composition finial, tea pot and coffee pot with double C-shaped composition handles, S-shaped spouts with leaf-and-shell ornament, creamer and waste bowl handles also with leaf decoration, all with gadrooned rim and pedestals with gadrooned borders. 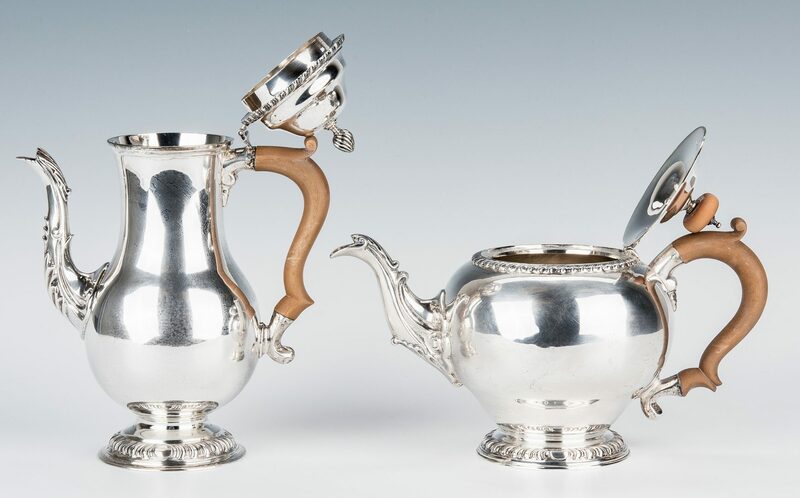 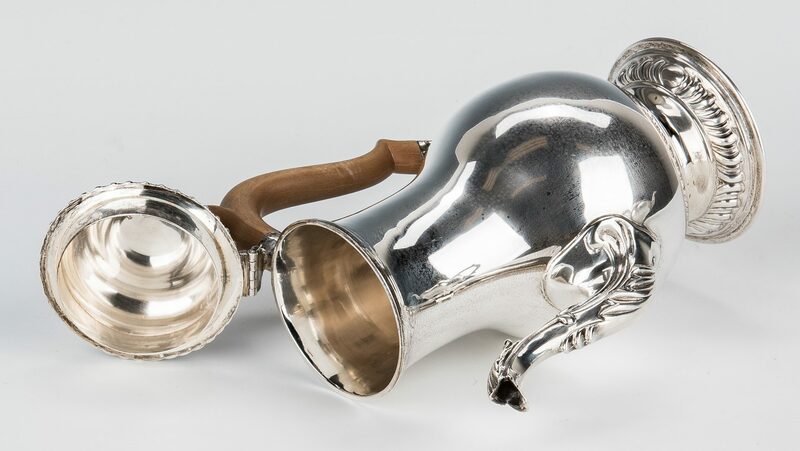 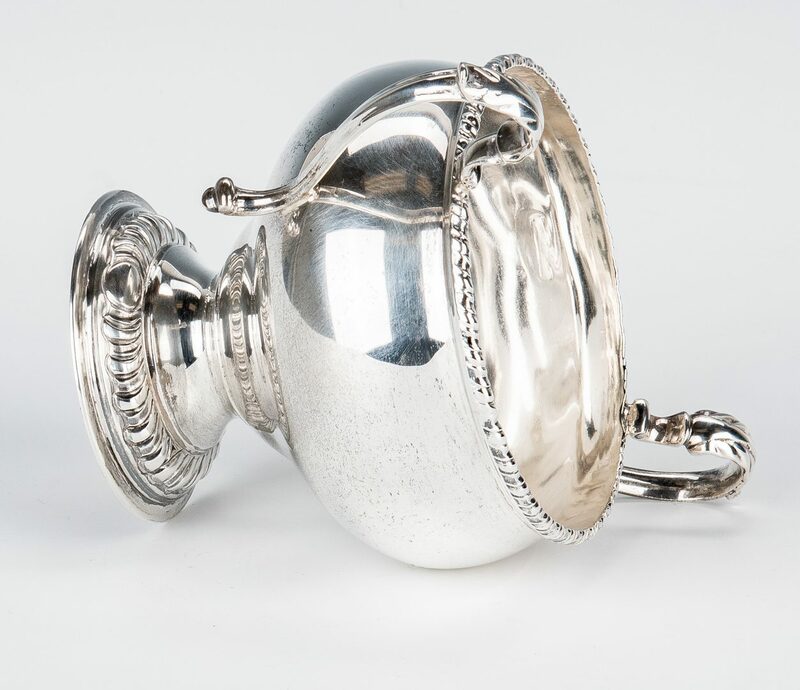 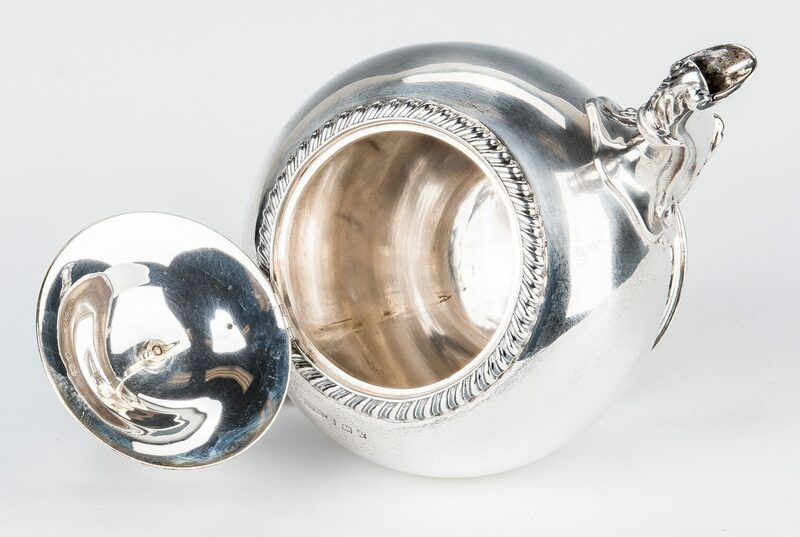 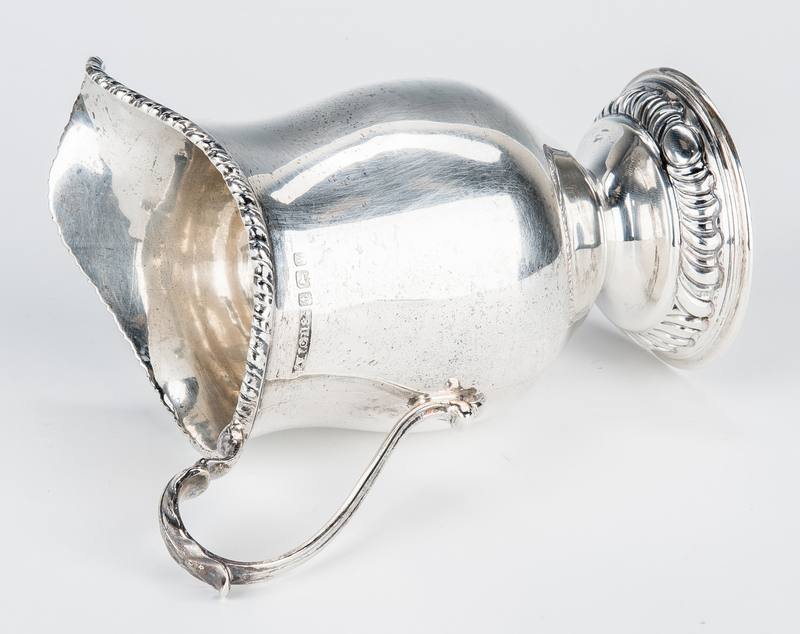 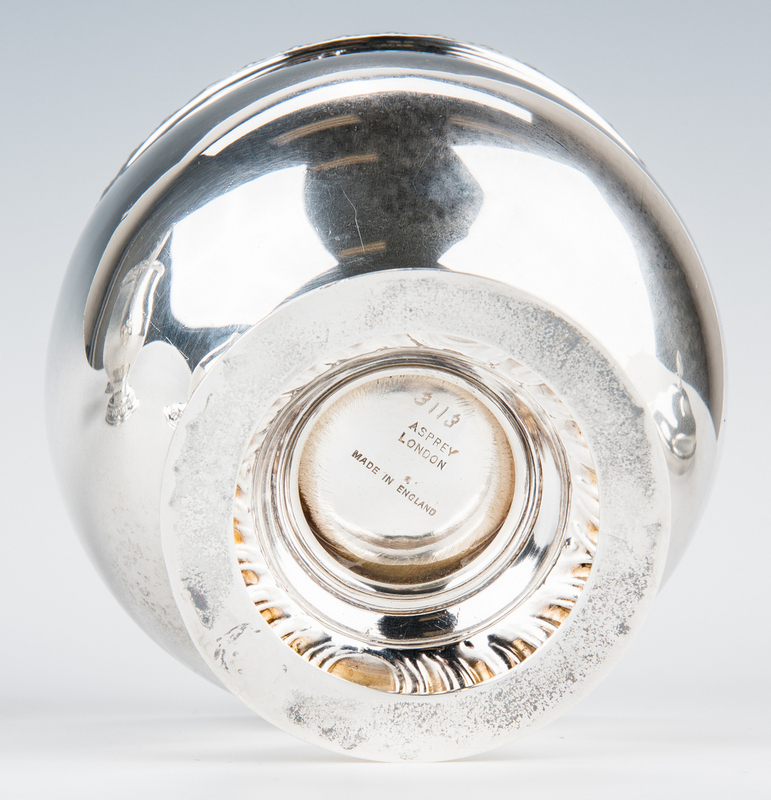 Maker's mark for Asprey & Co. Birmingham, England, date marks, 1945 and 1946, together with matching sterling silver pear-shaped coffee pot with maker's mark for Thomas Ducrow & Sons, Birmingham, England, date mark 1946. 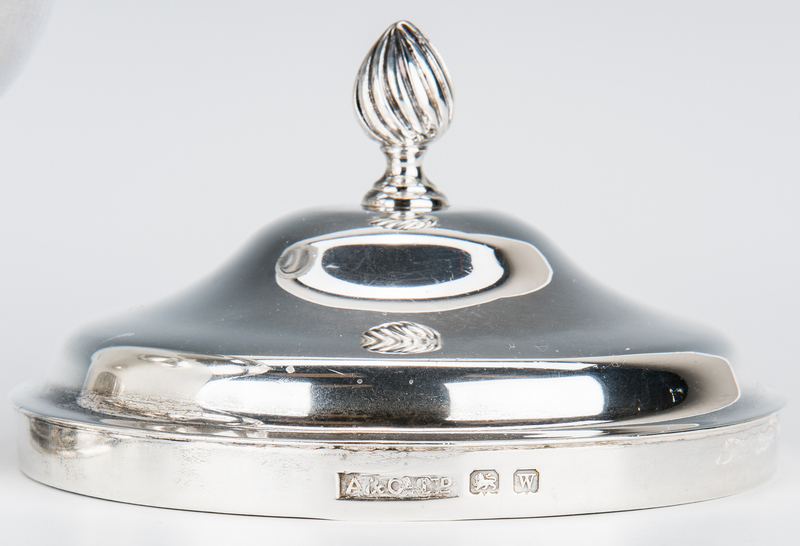 All 5 items with retailer mark on base, "Asprey, London, Made in England". 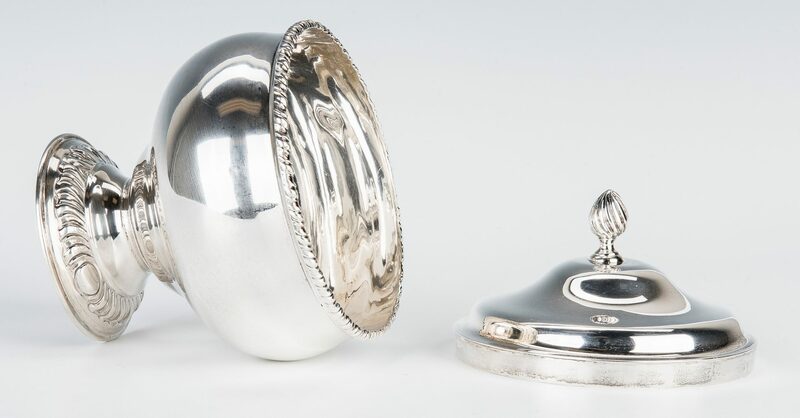 3 1/2" to 9 1/2" H. 71.695 total troy ounces. 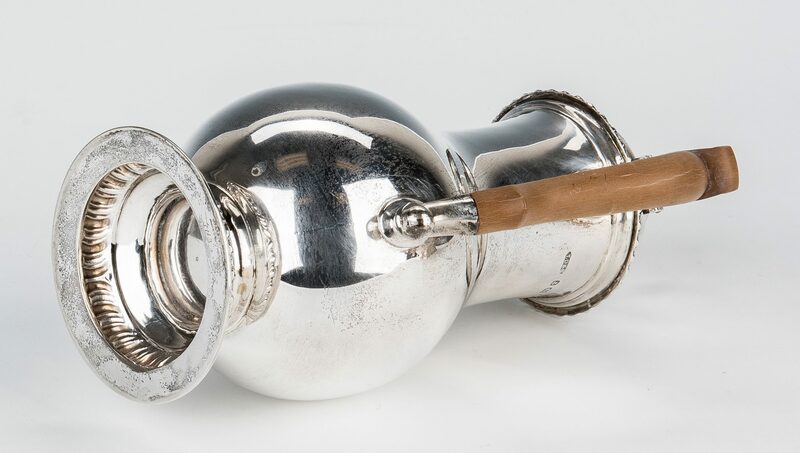 CONDITION: Overall light general surface wear, some fading to wood handles and finials.